As the new king of Finland, the German prince Frederick took the name Väinö I and was preparing for the trip from Germany to Finland to take the throne. It is not widely known today that, at one time, Finland had a king. It happened in 1918, just at the end of the First World War; Finland seceded from the Russian Empire after the outbreak of the October Revolution. One part of the Finns wanted their country to become a monarchy headed by a King. In October 1918, a German prince was chosen as king. He was Frederick Charles Louis Constantine, previously the Landgrave of Hessen-Kassel. This prince had excellent family ties with the European ruling dynasties. He was the brother-in-law of the German Emperor Wilhelm II and his first cousin was a Russian empress. Besides that, the prince’s wife was the granddaughter of the famous Queen Victoria. 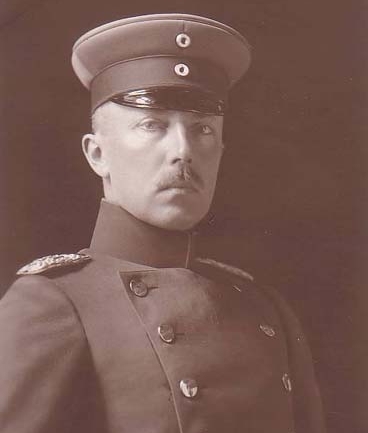 As the new king of Finland, the German prince Frederick took the name Väinö I and was preparing for the trip from Germany to Finland to take the throne. The problem was that the First World War ended in the meantime. Germany was defeated, and the king’s brother-in-law, German Emperor Wilhelm II, abdicated. A republic was declared In Germany, and a similar trend was in other European countries (Czechoslovakia, Austria, Poland, Estonia, Latvia, and Lithuania became republics). In such circumstances, it seemed impossible for Finland to become a kingdom, so the not-to-be-king Väinö I never even set foot in Finland. On this day in the year 1918, he officially renounced the Finnish throne.